This Bahia Vacation Package will take you to the first capital of Brazil, the lively city of Salvador to Experience the World Famous Carnival in Salvador. Travel to Salvador and Experience the best in Street Carnival with this 5 Nights Personalized Carnival Vacation Package. Remember these are Sample Salvador Bahia Carnival Vacation Packages, Tours and Vacations we have created for Customers in the past. Contact us so we can create Your Salvador Bahia Personalized Vacation Package Today. Experience the Bahian Carnival, the actual biggest street parties in the world. 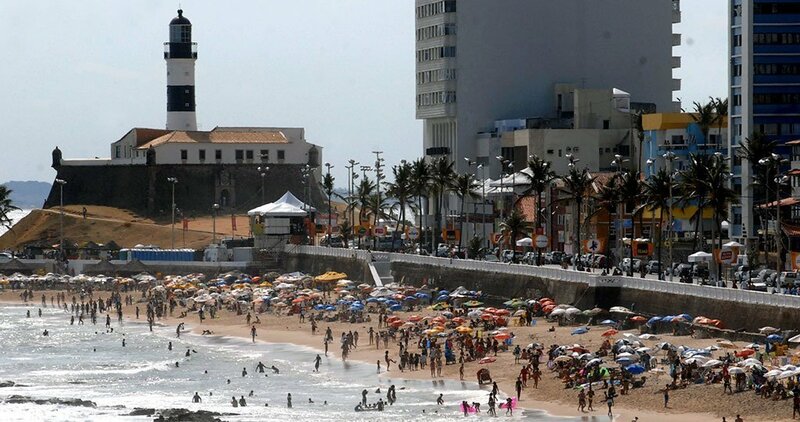 Salvador is known for its history, beating African culture, and natural beauty. This truly African-Brazilian city will awaken your senses with its exquisite culinary flavors and the rhythm of its electrifying music. The Bahian Carnival is a celebration of life that one will never forget. This Package includes Carnival party access in Salvador with tickets to camarotes (hospitality VIP areas) to watch the parade and “Abadás” (carnival bloco t-shirt) so you can participate in a Bloco. Moderate. Children under the age of 14 and senior citizens are not advised. Tropical weather and direct sunlight demands sun protection and plenty of fluids. Your private English-speaking guides will help you better understand and enjoy your Bahian experience. Contact us for prices. Abada – typical Bahian carnival costume that gives access to privileged Bloco street party in Salvador, or Camarote. Enjoy 6 days and 5 nights of partying in Salvador at the hotel of your choice during the Carnival Party. Then, if you like, take 4 extra days to enjoy the incredible beaches of Morro de São Paulo. We recommend touring the historic district of Pelourinho, the Elevador Lacerda, and some of the beautiful beaches Salvador has to offer. Carnival party access in Salvador with.tickets to camarotes (hospitality VIP areas) to watch the parade. Enjoy the Salvador carnival participating in a Bloco. We can arrange to buy the “Abadá” (carnival bloco t-shirt) for you. Transfer to the airport, where you will take a flight back home. Contact us for a Custom Salvador Carnival Vacation Package created just for you.